A stunning bangle that is solid and engravable with a beautiful rectangular cross section, exclusive to Guilty Bangles! A great oval shaped bangle, slips over the wrist and looks amazing on! A very lovely solid, wavy sterling silver torque bangle. This bangle looks magnificent on and is the perfect accessory. 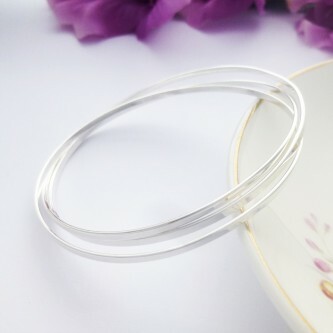 A beautiful, stylish solid 925 sterling silver bangle with a round exterior and a flat interior, suitable for internal engraving. A modern, solid sterling silver duo bangle, more suited to ladies who require a slightly larger bangle size. 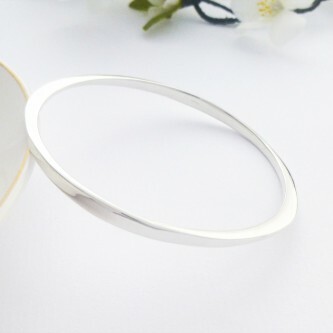 Gorgeous, elegant 925 sterling silver oval section bangle which looks amazing on! 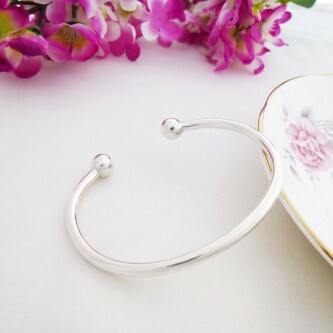 A fabulous and sophisticated Plain Silver Slave Bangle which is simply gorgeous. A gorgeous Triple Russian Flat Slave bangle based on a traditional design. 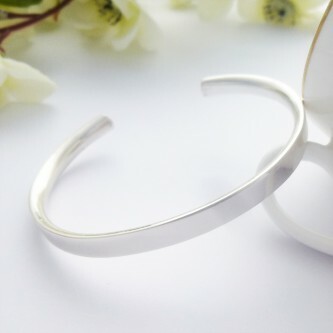 Contemporary solid silver square bangle which is very sleek and it looks amazing! Solid silver twisted bangle that looks great on! Perfect for women that enjoy a slightly unusual design. The Edie is a very pretty bangle that has a hand hammered finish on the exterior of this bangle. Handmade in the UK. A truly lovely bangle that has varying widths, stylish and popular.